A candid discussion with Elysium about World First, Life, Love, and Tacos. BG has been given the privileged and the giggles to conduct an interview with the Alexander world first Final Fantasy XIV free company Elysium! (current as of this interview on 4/7/16) Elysium is located on our home server of Gilgamesh and even sports several members of the BlueGartr forum community. You can find them at www.elysiumffxiv.com. 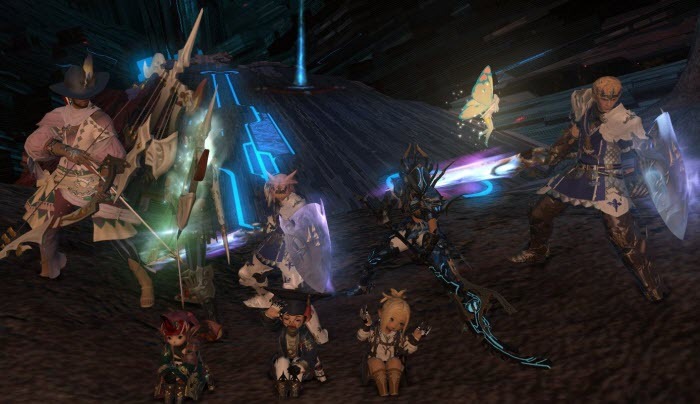 We even have a few BFFs on twitter and in the BG Linkshell on Gilgamesh as well. We are pleased to announce that the patch notes for Patch 3.1 — As Goes Light, So Goes Dodo! Dare you to find the actual differences between the preliminary and these ones. A Good Cause with Tekki and the Chicago Marathon! Im posting this on behalf of Tekki and his great cause! If you have a good cause or an awesome project you are working on that youd like to get out there, just send me a PM and we can help you get the exposure you deserve! Last year I had the opportunity to run the Chicago Marathon. I went from couch to marathon last year, inspired by my wife's family of runners. This is an open letter to the community of Final Fantasy XIV, the game that a large portion of us know and love. Hey everybody, its Sonomaa, you know me, Im the admin of the BG forums, Im on twitter, I make funny posts and stuff and Im here to talk to you about the new expansion and something thats going to happen. Id like you to listen really closely on this, Im going to try to be as nice as possible and use my kindest words. Galkas Are Food is back with another update! A lot has gone on between now and the last update. Names are the same, races have changed, and dragons have been slain!